Cindis World: AWESOME FREEBIE FOR VIRGINIANS, and some other states too, lol. AWESOME FREEBIE FOR VIRGINIANS, and some other states too, lol. 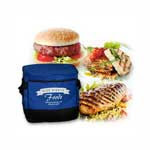 Free Blue Ribbon Foods Sample Kit! Would you like to try a complimentary sample of our natural, healthy gourmet food? You'll receive two of our world-famous lemon pepper boneless chicken breasts; two of our grain-fed, super-select boneless pork chops; and two gourmet steak burgers. Everything comes in a premium, reusable, personal-size cooler. The whole package, including the cooler, is yours to keep! To receive your free sample package, please fill-in your contact information HERE and one of their customer service representatives will contact you to verify your delivery information. ** Restrictions: Limited to quantities on hand. One offer per household. Must be in the geographic area serviced by Blue Ribbon Foods.